Home » Journal » Goodbye 45, Hello 46! Tomorrow is my 46th birthday, so today I look back at this past year. I had a fantastic 45th year – one of the best of my life! It seems as if every year I say that, but somehow each year is better than the last. I love my life! If I had to pick one word to sum up my 45th year, it would be reading. I read 68 books since my birthday last year. Three years ago I vowed to read more and my reading obsession began. My 43rd year I read 13 books, my 44th year I read 37 books and this past year I read 68 books. 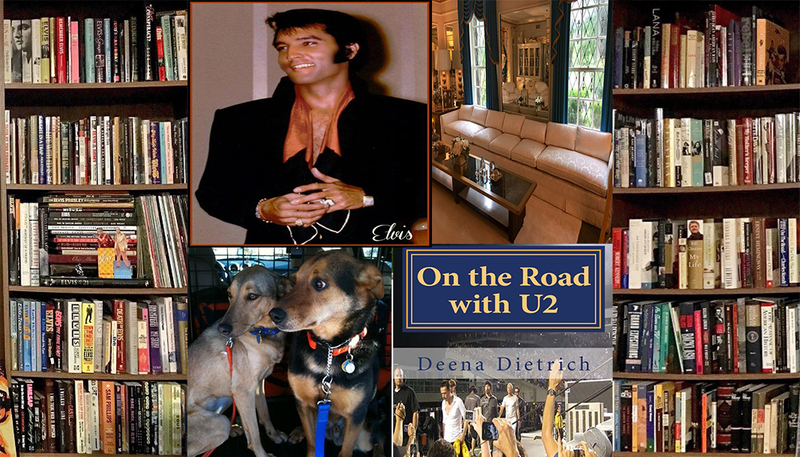 For a complete list of the books I read (memoirs, biographies, histories and a lot of Elvis), please click here (or look at the photo above where all my activities for my 45th year are pictured). Even though my love for reading has somewhat diminished my zest for sports and concerts, I still manged to go to one Memphis Grizzlies game, two Broncos games, two Orioles games and one U2 concert. I went to the Memphis Grizzlies game in DC against the Wizards on December 13, 2017. The Grizzlies lost, but I had a great time and some great moments with my favorite Chandler Parsons that included some ‘Hi’s” and some handshakes. For the complete story, please click here. I am seeing my Grizzlies again in DC in March in the same seat – front row between the Grizzlies tunnel and bench. I went to two Denver Broncos games this past year, but they were in two different seasons – so I am keeping up my one Broncos games per season quota. I took my Goddaughter Keira to her first Broncos game on Christmas Eve in DC against the Redskins. The Broncos lost, but we had a great time! Then last weekend Dad and I went to the Broncos – Ravens game in Baltimore – again my Broncos lost, but again we had a great time. I went to two Orioles games this year. One with my best friend Cindy and one with my dad. Cindy and I went to Social Media night, and the surprise guest was Eddie Murray. So I got to meet my childhood fave Eddie Murray! For the complete story, please click here. 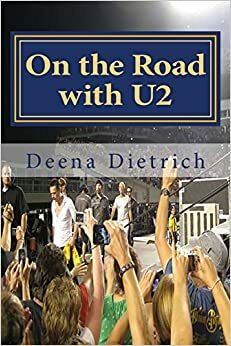 Hard to believe, but I only saw one concert this year (if you don’t count the ones during Elvis Week) and even harder to believe I only saw one U2 concert this tour (instead of my usual 8 or 27). I wasn’t a big fan of U2’s latest album and the tour was exactly as it was in 2015, so I just saw one show. I saw U2 in Nashville with my friend Sharon, while I was on my 10 day Tennessee road trip. It was a great show and we had a great time, but I felt no need to see another. For the full story, please click here. My 45th year was a big year for movies – classic movies in the theater. I saw Grease (four times), The Karate Kid and Rebel Without a Cause. 2018 was the 40th anniversary of Grease, so I saw it four times in the theater in April. If you know me, you know Grease was my favorite movie when I was 5 (almost 6) and is still my favorite movie at 45 (now 46). For the complete story, please click here. My second favorite movie is The Karate Kid and this year was the debut of the series Cobra Kai with Ralph Macchio and Billy Zabka reprising their original roles. There was a one night only showing in April of the first two episodes of Cobra Kai followed by The Karate Kid. For the story on that night, please click here. And finally another favorite of mine Rebel Without a Cause had four screenings in the theater last week, and I went to the last one. I have obviously seen Rebel Without a Cause many times as James Dean is my favorite actor, but I had never seen it on the big screen in the movie theater until last week. For the full story, please click here. The highlight of my 45th year, as it is every year, is traveling. This past year I visited Memphis three times and San Diego for the first time. I decided to treat myself to a trip to Memphis for New Year’s with a suite at the Guest House at Graceland. I was the last visitor through Graceland on the last day of 2017 and the first person through Graceland on the first day of 2018 – pretty cool! I saw Jerry Lee Lewis in concert at his club on Beale Street and rang in the New Year with my friend Caroline. For the all the details with hundreds of photos, please click here. In February, I went to San Diego for the first time for the Social Media Marketing World convention (thank you Century Corp / Awalt Builders). I learned a lot and had a great time in San Diego seeing all the sights like Hotel del Coronado, Balboa Park, Old Town, Midway, Horton Park, Kansas City BBQ where parts of Top Gun were filmed, MLK Promenade, Gaslamp Quarter and PetCo Park. To see all of my photos from my trip, please click here, here and here. In May, I went back to Memphis, actually I took a 10 Day Road Trip through Tennessee and Mississippi visiting Pigeon Forge, Memphis, Tunica, Tupelo, Jackson and Nashville. It was a great trip, and I saw and did so many wonderful things! You can read about them here. In August, I went back to Memphis for Elvis Week the 41st anniversary. I was gone for a glorious 12 days because I again drove to Memphis. (A decision I made this year was to drive everywhere instead of fly as I just can’t stand flying anymore.) I think this was my favorite Elvis Week ever, after the 30th Anniversary in 2007. It was just such a great time and I met so many people and saw so many great shows and panels. Of course the highlight was talking with Lisa Marie Presley again (it’s been a while since I’ve seen her), but I also loved meeting Millie Perkins, Ronnie Tutt, Billy Smith, Charles Stone, Janice Fadal, Cissy Houston, Steve Binder, Darlene Love and many others. And of course hanging out with my fellow Jerry’s Girls! For all the details with lots of vids and pics, please click here. So yeah my 45th year was wonderful! And I think my 46th will be even better if that’s possible. I already have my ticket for the Grizzlies game in DC in March and reservations at the Guest House at Graceland for January, May and August. I am not sure I will get to Memphis in January and May, but I will for sure be there August 9-18 for Elvis Week, the 42nd Anniversary. I don’t know what concerts I may go to this year, but I definitely plan on reading a lot (more than I did this year). For my birthday tomorrow, I am doing the same thing I did last year – staying home in my PJs, reading and having Mom’s homemade lasagna for dinner with my parents. (And my favorite Ledo pizza for breakfast and chocolate cake with white icing for dessert). To me, the perfect day is staying home in my PJs reading with my dogs. But I am going to Happy Hour the next day. 2 Comments on Goodbye 45, Hello 46! Happy Birthday. You had a very full year! Thank you! and thanks for reading! it was a great year!